If you think style goes out the window when space is at a premium, we’re about to blow your mind! 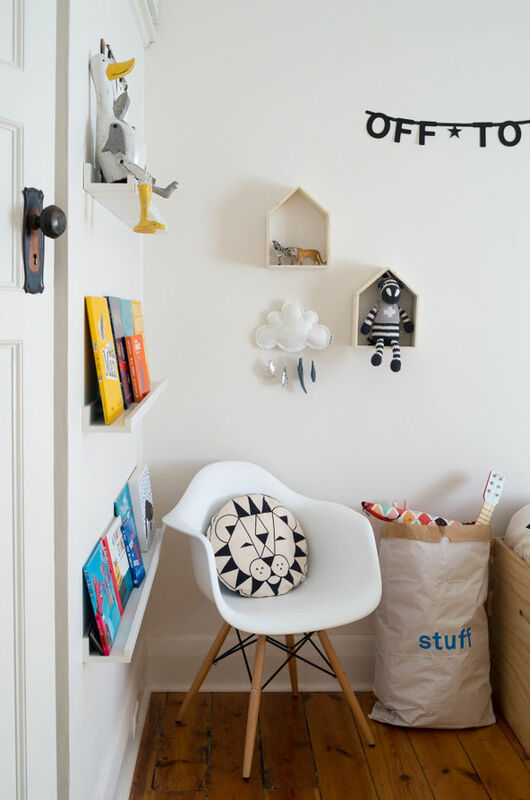 This gorgeous little boy’s room has a very on-trend monochrome base, with pops of colour to make it a playful haven. 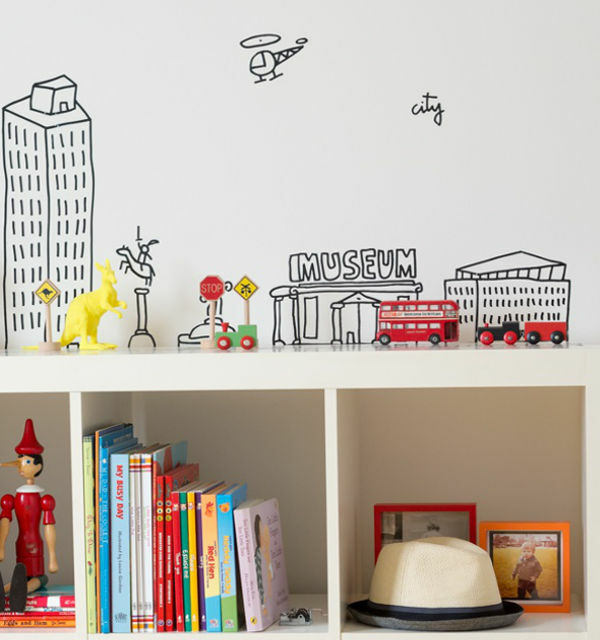 This is three-year-old Max’s gorgeous room, and it was created by his mum Maria, who (it won’t surprise you to learn) is a children’s interior stylist. 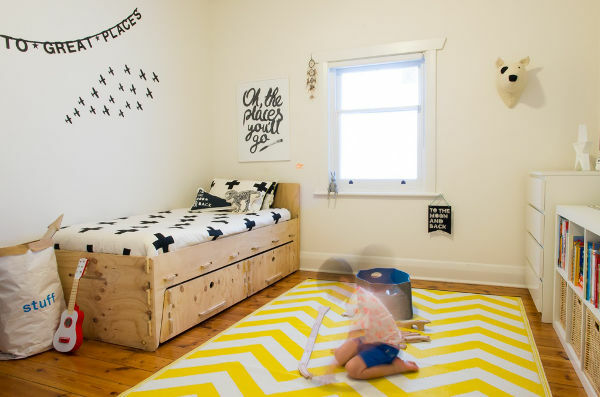 Her foray into the world of interior design on a small scale all began with this room. Once this incredible bed was in the offing, Maria knew she had her hero piece, which she worked around. Next came the beautiful rug, which gives the room a burst of fresh colour. 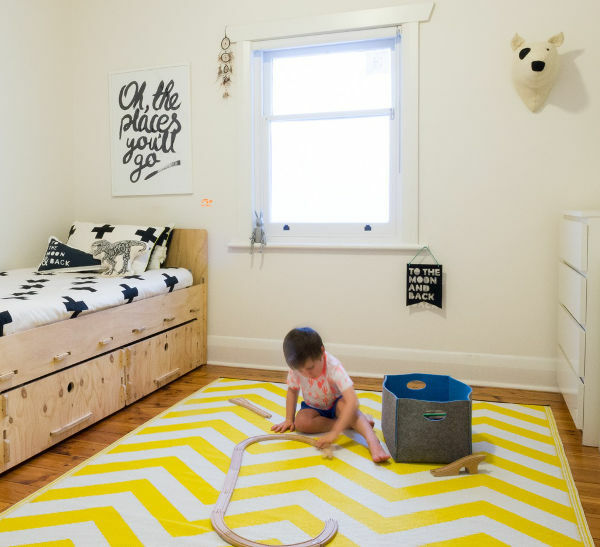 And it’s just perfect for a child’s space because it’s an indoor/outdoor rug made from eco-friendly recycled polypropylene. Maria assures us it doesn’t look like plastic, so still adds a softness to the room, while being easy to clean and durable. What a clever idea! 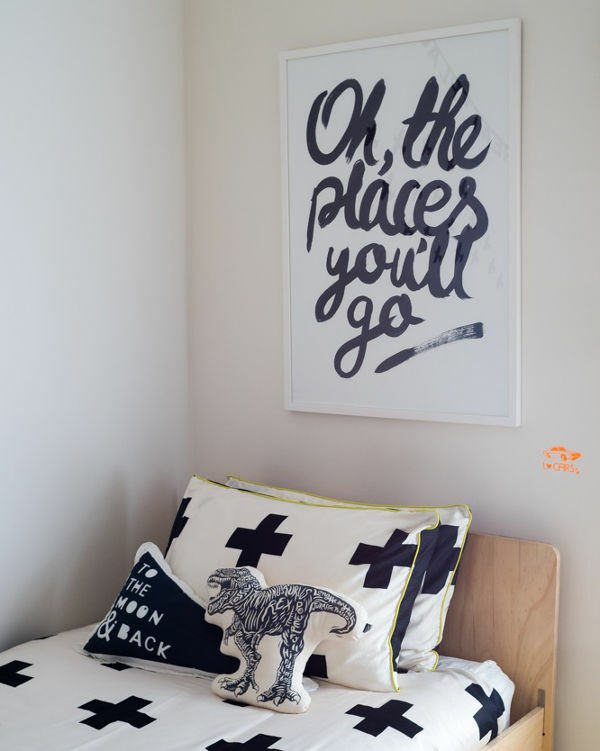 After sourcing a print featuring the title from one of Max’s favourite books, Dr Suess’s Oh, the Places You’ll Go, Maria says a theme started to emerge. 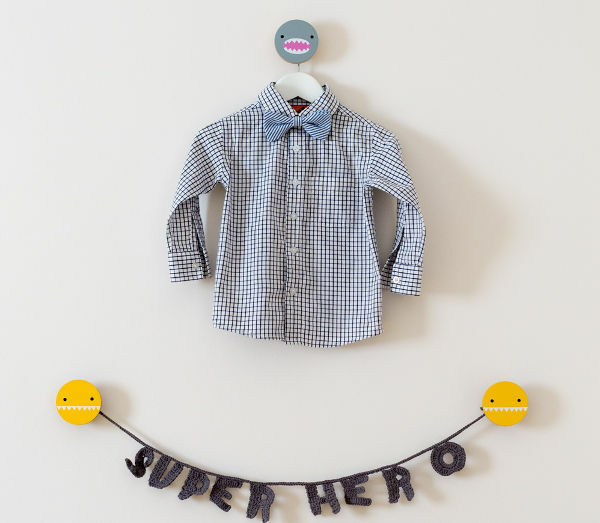 Shadow boxes housing knick knacks and favourite toys adorn the wall, and Max also has a cosy little reading area at the foot of his bed. 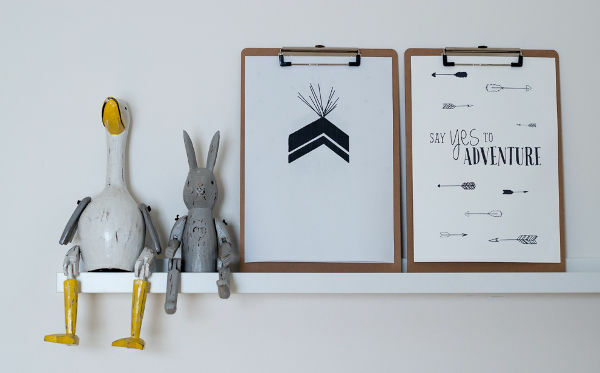 Maria also used a very cost-effective yet stylish idea to display some unframed art – simple clipboards! 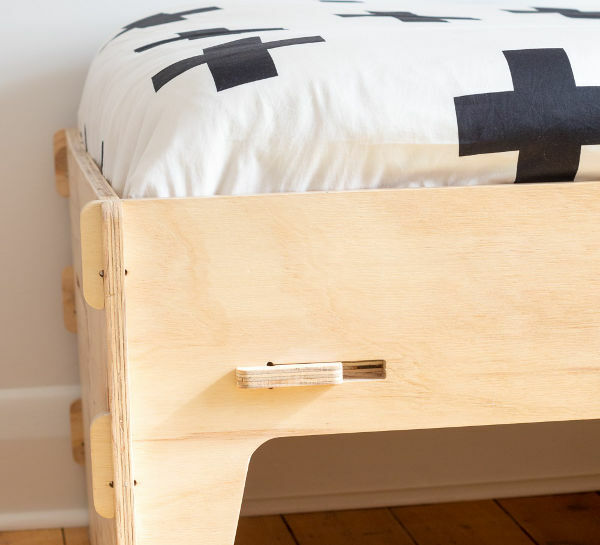 As an interior stylist Maria knows the value of using what she already has, so Ikea pieces from around the house have been put to good use in Max’s room. 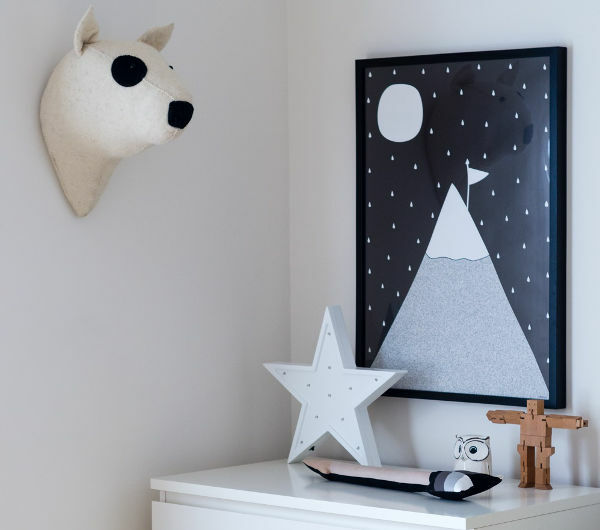 White Star Light: Little Letter Lights Co.
Do you have a beautiful nursery or bedroom you’d like to share? Then fill in this form on our contact us page, we’d love to hear from you.